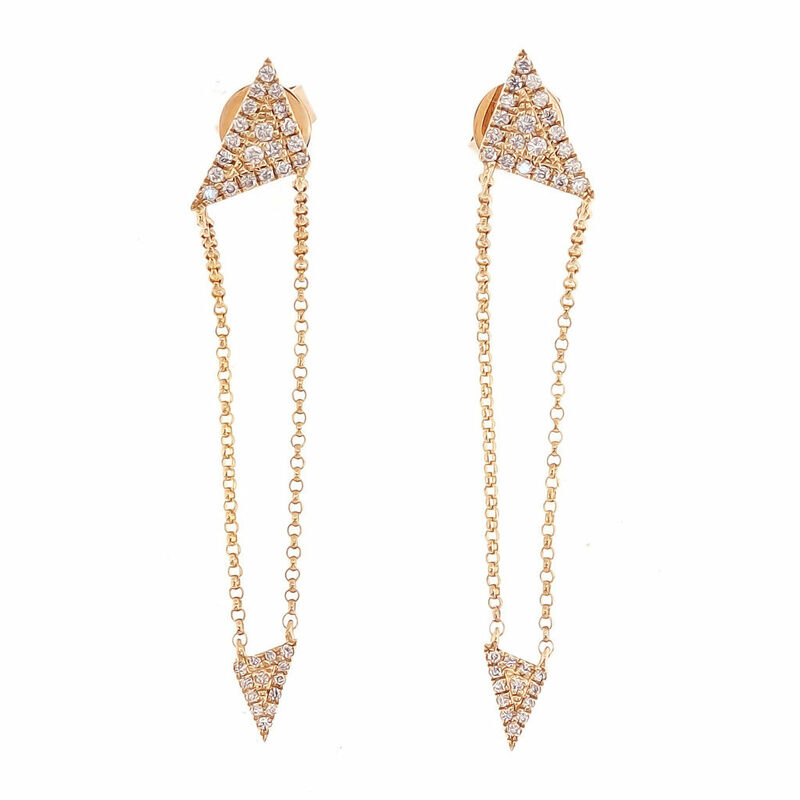 The yellow diamond triangle stud rest on the ear with a double chain dropping from two points linking up with a smaller version of the diamond triangle. The two act in perfect harmony to compliment the ear. The triangle is the strongest symbol providing its wearer with stability and strength.